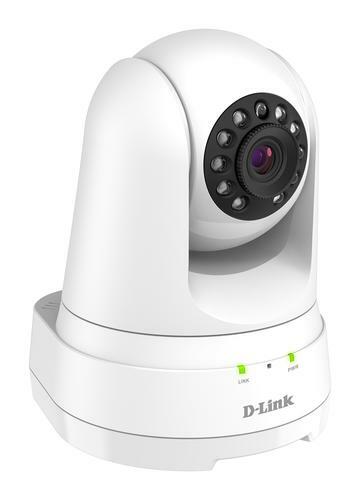 D-Link has launched two new advanced HD Wi-Fi cameras and an enhanced Mydlink App. ”These two new Full HD Wi-Fi cameras as well as the new and enhanced mydlink app show our commitment to ongoing advancement of our products and services, in terms of both functionality and ease of use,” said Graeme Reardon, D-Link ANZ Managing Director. The cameras feature Google Assistant, Amazon Alexa and IFTTT support. With the enhanced Mydlink App, users can view live footage from all cameras, one by one or simultaneously. Smart Automation Functionality allows creation of different scenarios for different cameras, including customisable one-tap options and setting of schedules. For example, you can now set a camera to send you a notification when motion is detected while you are away from home, but then activate privacy mode when come home, which turns all cameras off automatically, with just a simple tap within the new mydlink app,” added Reardon. The Full HD Wi-Fi Camera (DCS-8300LH) is available for $229.95. The Full HD Pan & Tilt Wi-Fi Camera (DCS-8525LH) is available for $249.95. For more information, visit dlink.com.au.